‘We understand that great content plays a significant role in creating a high-quality app,’ says AmayaSoft’s Bakhram Fayzutdinov on licensing Jo Rose’s ‘Deer Little Forest’ brand to develop digital book apps. London brand management house Koko Rose Media this month has “just closed international rights for Russian, Chinese, and Turkish-language interactive books,” the firm’s Lisa Hryniewicz tells Publishing Perspectives. 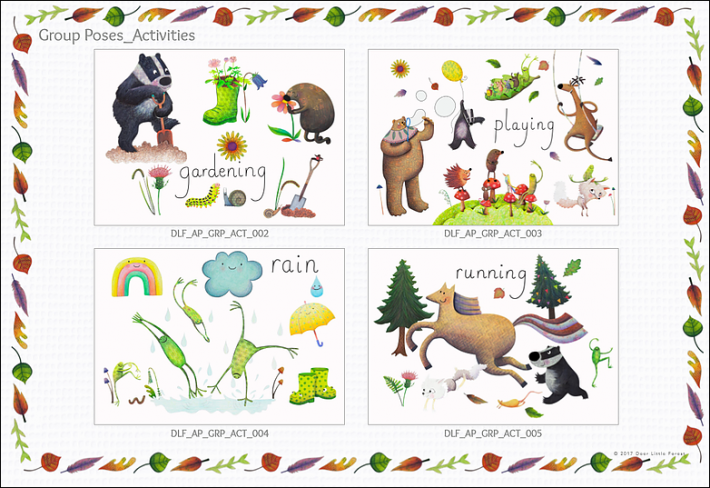 Under terms of the arrangement, Cyprus-based AmayaSoft is to produce a series of English-language learning products based on Jo Rose’s Deer Little Forest brand. Deer Little Forest is an early-learning series for children up to age 3, with Lockhart Deer as the lead character in a cast illustrated by Rose. Ingrid Selberg, formerly managing director of Simon & Schuster UK Children’s, developed a series of board books based on this content, as mentioned in The Bookseller in 2017. Margaret Hope, formerly an art director with Random House, Simon & Schuster, and the BBC, is also attached to the project. The Deer Little Forest books made their debut at the Bologna Book Fair this year, with Ingrid Selberg Consulting Ltd. listed as developer. Licensing agents in 27 countries represent Jo Rose’s cast of critters, which draw on elements of Scandinavian folklore and the inspiration of southern England’s New Forest. Using proprietary app-creation technology called MyBookTools, AmayaSoft plans to release a Deer Little Forest educational app. The company distributes its products across several mobile platforms including Amazon, iTunes, and Google Play. In a prepared statement, Bakhram Fayzutdinov, founding chief technology officer with AmayaSoft, is quoted, saying, “We’ve built up expertise in developing interactive books and educational apps for children. We understand that great content plays a significant role in creating a high-quality app. AmayaSoft was founded in 2009, and produces digital textbooks, educational content, interactive cartoons, 3D interactive popup books, and books with augmented reality elements. The deal with AmayaSoft was brokered by Koko Rose’s Russian agent, Maria Tkachenko of Icon Licensing, Hryniewicz says more negotiations are going forward for the early-learning and baby-book concepts presented at Bologna. In addition to publishing products, the Deer Little Forest branded designs have been licensed across stationery, housewares, digital games, and magazines. 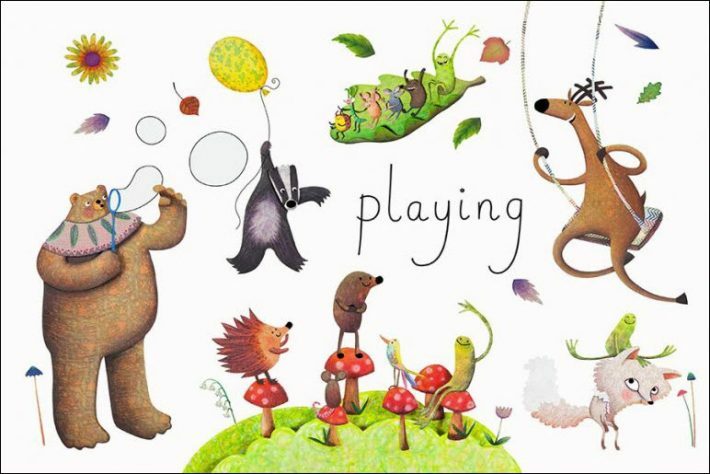 From ‘Deer Little Forest’ brand book artwork developed for presentation at Bologna by Ingrid Selberg Consulting Ltd.